Once the Android hit the market, it was just a matter of time before various gaming companies released apps for the device. Whether you want to play blackjack games for fun or poker for real money, there are plenty of titles to choose from. Below are three apps that any gambling fan should check out. The old cliché "the largest and the best" easily applies to Zynga Poker. A totally free to download and play apps for the Droid, players can play in live free money poker games against opponents from around the world. Zynga has the largest players database of any online poker site in the world, free or paid. You can play in either cash games or in sit-n-go tournaments. A Facebook account is needed, and your friends on Facebook can even gift you chips. 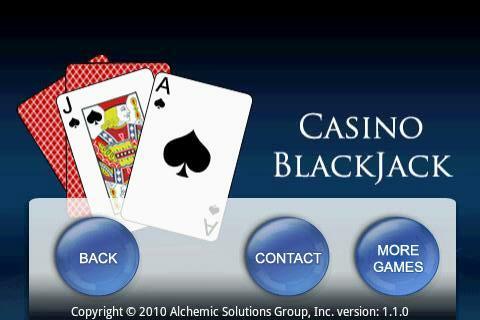 One of the more popular casino apps on the Droid is Real Blackjack. The app allows you to play blackjack against a computer dealer, but the app does not stop there. There are also features in the app that give you basic strategy sheets to use in blackjack as well as tips on how to count cards. You may not become as proficient as the MIT Blackjack Team, but you will be prepared on your next trip to the casino. Bwin poker became the first online poker site to offer poker games for real money to its players. The app is free to download for anyone with an existing bwin account and players can play in live real money cash games. In addition, players have the benefits of hand history and hand evaluation available at their fingertips. If you would rather not play for real money, there is a free play feature where you can play a cash game against computer opponents. The above are some great apps to get you started in your search for casino and blackjack style apps for the Droid. If you want to read more about mobile gaming pertaining to the Android, bookmark this site gamblingplanet.org.